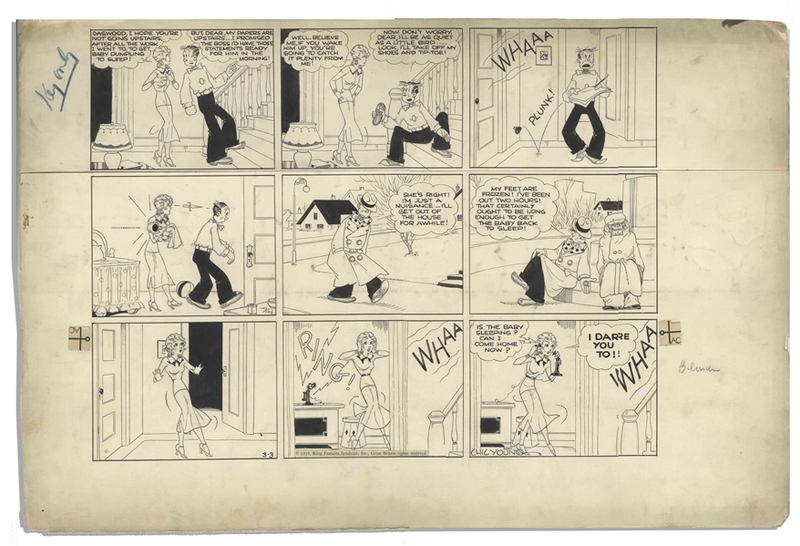 ''Blondie'' Sunday comic strip hand-drawn and signed by Chic Young published on 3 March 1935, featuring Blondie, Dagwood and Baby Dumpling. In this cute 9-panel strip, Dagwood can't do right when it comes to not waking up the baby. 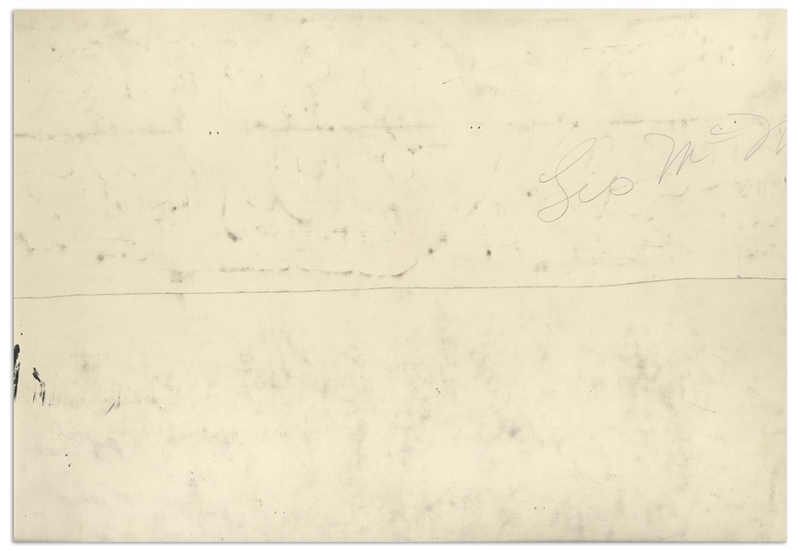 Strip measures 23'' x 15''. Light wear and chipping to margins, overall very good condition. From the Chic Young estate.